Are you willing to do what it takes to get a million pageviews a month? Some HUGE bloggers have multiple writers and publish content 3+ times a day. The more content you create, the more traffic you will receive, the more your blog will grow. **note: out hangout from this week messed up, so we don’t have a video. Thankfully, Raki of Outside the Box Mom took great notes and was able to write this up for us. Thanks, Raki!! If you blog three times a week, you might be considered a hobby blogger. Consider if you’re willing to invest more time to grow your blog. If you receive X amount of traffic only publishing content 12 times a month (3 posts a week x 4 weeks), then you could nearly triple your traffic and growth if you posted every day. Ask yourself: Can You REALLY Handle Running a Blog? *Post regular content. See building an editorial calendar. *Create landing pages See creating landing pages for SEO. *Focus on the current season. See planning seasonal content using Google Webmaster Tools and Google Analytics. You can’t rank well with just one post for a specific keyword phrase. Create a post that focuses on each keyword phrase you’re working on at least once a week. If you are behind (in the season), you may want to post twice a week. Create a list of keywords you want to be known as an expert for and that you want to rank in Google for. What if it takes me a long time to create posts or create recipes? *Barter with others (Example: Write recipe posts for me and I’ll run your Facebook page. Crystal of Crystal & Co. partnered with another blogger for her Letter of the Week project who was an “expert” in this area. *Create roundups and crowd source ideas from your friends, family, or social media. *Brainstorm other ways to create easy content. *Host guest posters on your site. *Create landing pages to focus on your keywords. *Add links to new posts in your landing pages as you publish new content. If this is your full time job and business, plan to dedicate 40 hours a week to it. If it takes you one hour to write a post and you want to publish posts every day, that’s only 7 hours a week. If it takes you two hours to write a post and you want to publish posts every day, that’s only 14 hours a week. You should have plenty of time to do that. Kelli of 3 Boys and a Dog said that roundups take her 2 hours to complete (including researching links, adding them, etc.) and a normal post takes 30 minutes. Kelli’s goal is to have 1-2 posts of her own included in her roundups. So, if “cranberries” is a seasonal keyword she is working on, she’ll need to post a “cranberries” recipe by Wednesday in order to include it in her roundup on the following Monday. Strategy!!! Based on projects she’s working on, current season, current keywords she’s working on. She has a general idea of what she wants to post each week. Focuses until she gets each post done. Creates an Amazon deal post each day. 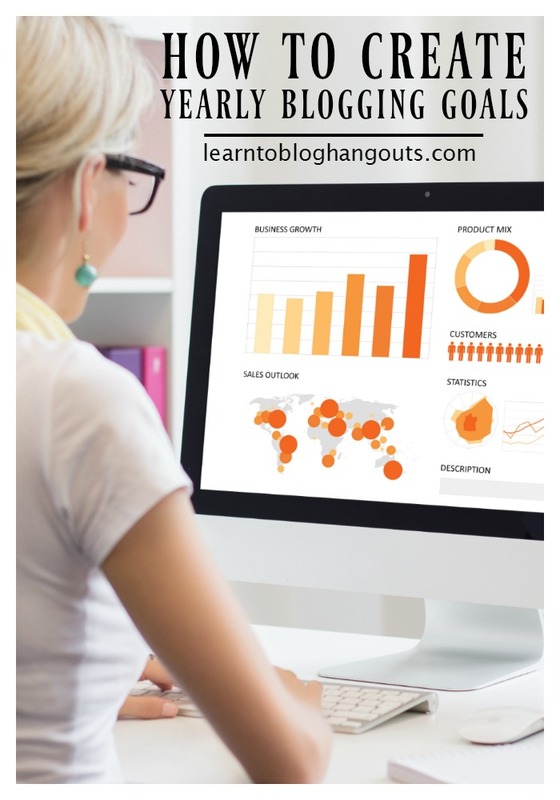 Hosts weekly linky party for mommy solutions. That’s 7-14 posts published each week! You have to create more content to increase your chances of it going viral. *Consider if you’re willing to invest more time to grow your blog. 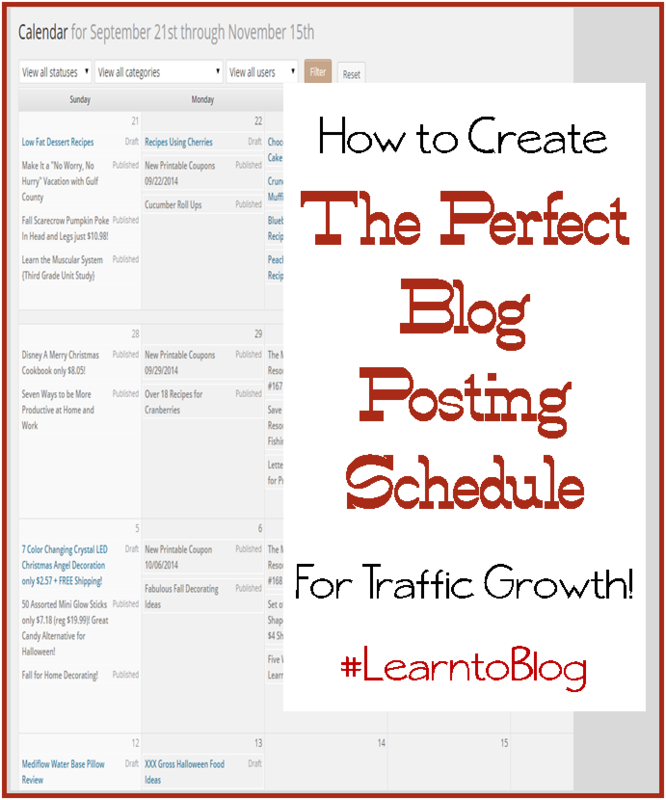 *Assess your current blogging schedule to figure out how you can publish at least one post each day. *Decide on the topics your readers want. *Determine the best keyword phrases for those topics. *Focus on the number of searches for that keyword phrase. *Write about each keyword phrase at least once each week. How else can you grow your blog? A good challenge. Something to consider. Thanks for the notes. This was super helpful. Thank you for a very informational and well written post ! I took notes, but I can see I missed a few things. Sorry, I was on mobile before and could not see the hover button. It’s pinned now! Thanks again for this great post. This will help me a lot! Wow – that is a whole lot of posting. But if this is your full time job, then it makes sense. I have to fit my blogging around my job which naturally cuts down on how much I can get done. But I am slowly working at building up content on my blog. Great to have examples of what people are doing. Blog researcher thinking of taking the leap: Sounds like dedication & passion to me. We must set out mind, we must succeed. No dreams are unattainable. It’s so simple just the dream, the self-commitment to do whatever it takes and the guts to not be afraid to fail can make magic happen. Love your outlook.